As we continue our study of Romans, we come to verses two and three of chapter one. Simply stated, Paul’s “gospel of God” is that Jesus has fulfilled the Old Testament prophecies about the Messiah. Everything Paul is about to write and teach regarding this gospel can be validated by the Old Testament prophets. Even the sacrificial system for sins is a foreshadowing of what Jesus would ultimately accomplish. In verse 2, Paul declares that the gospel was “promised beforehand through [God’s] prophets.” Further, we can go back to the “holy Scriptures,” that is the Old Testament, and read for ourselves. Some of the most specific prophecies pre-date Jesus by almost 1,000 years! In verse 3, Paul points out that Jesus is both fully human and fully divine. First, he points to Jesus’ divinity as “Son” – a title He alone carries – the only begotten of God. This is detailed further in verse 4…which we’ll discuss next time. In verse 3, Paul draws our attention to Christ being a direct descendant of King David. 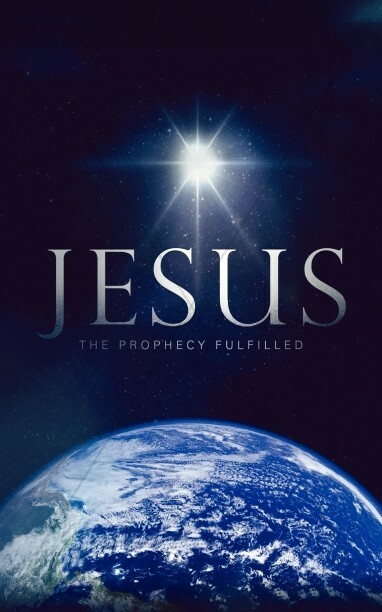 This too, fulfills specific prophecies about the Messiah. Jesus was “born” – ginomai; came into being – as a human. He is eternal as the Logos, the Word which became flesh. But He is human in that Jesus of Nazareth was born into this world. The reality of Christ’s two complete natures has a major impact on the gospel and the fulfillment of the law. We’ll discuss this in greater detail as we move forward.